The 13 Days Kenya Safari Tour. Tanzania Wildlife Safari Tour. Kenya Tour. Tanzania Tour. This 13 Days Kenya Safari Tour & Tanzania Wildlife Safari Tour is an all-inclusive safari that allows you a chance to enjoy some of East Africa`s iconic safari destinations as your staying in amazing safari accommodations. Explore the beauty of Africa on this 13 Days Wildlife Safari in Kenya & a deluxe Tanzania wildlife safari trip offering you an opportunity to enjoy an East African safari holiday. This 13 Days Kenya Safari Tour & Tanzania Wildlife Safari Tour is an all-inclusive safari that allows you a chance to enjoy some of East Africa`s iconic safari destinations as your staying in sumptuous safari accommodations. Explore the prettiness of Africa on this 13 Days Wildlife Safari in Kenya, Wildlife Tour Kenya, Kenya Safari Tour, and Tanzania Deluxe Safari which offers you an opportunity to enjoy an East African safari holiday. The safari begins on Laikipia Plateau, located between Mount Kenya and the northern deserts of Kenya. Then visit the famous Masai Mara one of the most game rich areas in Africa with a variety of resident wildlife. Travel to the endless plains of Serengeti that are filled with large herds of plains game. Search for leopard hanging up in the branches of the riverine forest. Finally, explore Lake Victoria, one of Africa’s greatest lakes. 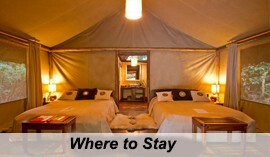 Stay on an amazing island where the shy sitatunga antelope, threatened chimpanzees call it their haven. Visit some of the iconic game reserves in Kenya and Tanzania. A filled adventure. Relish a chimpanzee experience, swamp excursion, boat safari, fishing and kayaking. Engage in an unfamiliar safari and beach combination, where the fascinating beaches are located on the shores of Lake Victoria. On the first day of your safari, fly from Nairobi to the highland plateau of Laikipia. The Ol Pejeta Conservancy with Ewaso Ng’iro River the only water sources in the region, the conservancy inhabits a variety of wildlife – search for the rare Gerenuk and Beisa Oryx on your evening game drive. Dinner and overnight at the safari camp. Be woken up by the stout calls of birds and bush creatures in the morning, to head on a game drive in search for some of the 100-black rhino in the dotted acacia forest, or the endangered Grevy’s zebra on the bare grassy plains. The African big five can also be found here. Enter into the bush in the morning of this day on a walk under guidance of a Masai worrier. Look at the birds, ecology, insects and learn from them to understand the tracks of the wildlife and identify the different spoor. learn about and track the lions that live in this conservancy. In the evening as the sun goes to rest, also go on a night drive with a powerful spotlight to track the nocturnal species that usually hide in the day time so you can discover the magic of Africa`s nightlife in the bush. After morning breakfast, take your last game drive in Laikipia along the way to the airstrip, and catch a flight to the Masai Mara. You will be picked at the airstrip upon landing, to your luxury camp perched above the Talek River, an ideal location for the great migration river crossings. The camp also allows sweeping views across the plains, with high concentrations and diversity of Africa’s wild animals. Masai Mara is best for game viewing all year round. 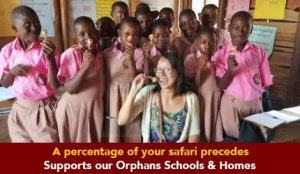 In company of Il Dorobo and Maasai guides, explore the Masai Mara. 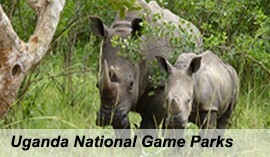 Game drives can be adjusted to meet specific needs and interests for some rewarding and extraordinary game viewing. Take an optional excursion and visit a nearby Maasai village to share their cultural aspect of the traditional Maasai’s lifestyle. Enjoy morning game drive with your local guide to help decode the dramas that happened out in the night before enjoying breakfast. Drive to the airstrip and board a regional flight to the Kenyan Tanzanian border. From here, enjoy a short scenic drive crossing the border into Tanzania where you will take a flight into the endless plains of Serengeti. 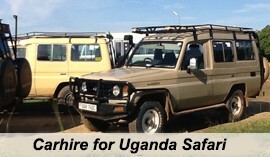 A guide will meet you at the airstrip and to transfer you to the camp. The location camp is determined by the migration’s movement, so as you don’t miss any of the action. Follow the ebb and flow of the great migration in the morning after breakfast. At Serengeti, morning and afternoon game drives are much focused on the migration, other species and predators that come follow this incredible spectacle. Or, enjoy delicious picnic lunch and spend the whole day out in the bush. Depart at 6:30 for game drive in search for wildlife in the central plains (morning game drives are the most rewarding because animals usually be active in the morning). We shall drive to the center of the park to explore wildlife in the endless rolling plains. Proceed to Seronera area which is among the richest wildlife habitats in the park. The area features Seronera River where most animals of different species and birds quench their thirst. Say farewell to the Serengeti plains in the morning of this day and hello to the beach wilderness on Lake Victoria. This is a real wild area, inhabiting elephants and many species of butterflies in the natural rainforest. 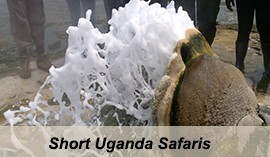 Fly for a short time to the largest island National Park in the world – Rubondo Island. Meet at greet with a guide at the airstrip before transferring to your new camp on the shore of Lake Victoria. spend the next three nights here and explore the water and forest. this forested island is surrounded by beaches and rocky coves and it offers some of the most unspoiled wilderness in Africa. Explore this untouched wilderness foe the next two full days of truly adventure and active. 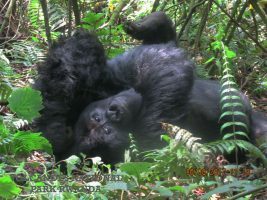 You can spend time on guided forest walks and a guided chimpanzee experience through the chimp environment. These chimps are habituated to human’s presence. Or head on game drives through the forest, driving through the traditional giant trees which inhabit the giraffes, elephants and bushbuck that thrive here. Go on a swamp excursion close to the forest and search for the shy and elusive sitatunga antelope that inhabit in the papyrus swamp along with hippos and crocodiles. Explore the water area with a boating safari or by kayak. Or opt to do an extra world class boat-based fishing chance. This is your last day of your safari, start the days with a delicious breakfast outside on the deck overlooking the lake and after check out of the lodge for a short ride to the airstrip, where you will board a flight to Arusha Airport for your personal travel arrangements. Transportation both air, road and water as per the itinerary.